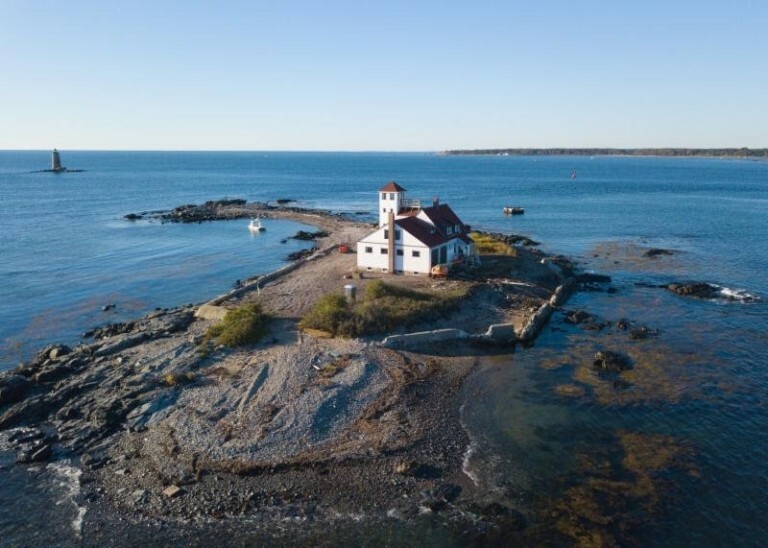 Epping-based EnviroVantage’s work on the Wood Island Life Saving Station Project in Kittery Point, Maine, has earned a National Excellence in Construction Eagle Award from Associated Builders and Contractors in the Community/Public Service Category. Representatives from the company received the top honor March 27 during ABC’s 29th annual Excellence in Construction Awards gala at ABC Convention 2019 in Long Beach, Calif. Engineers Jeff Merritt and Brent Cole have launched Granite Engineering LLC, a civil engineering design and land development firm housed at the Waumbec Mill in Manchester. Together, they have nearly 30 years of experience in the field. For more information, visit graniteeng.com. Granite State Cabinetry recently kicked off its Professional Chef Series cooking event with an appearance by Mary Ann Esposito, cookbook author and star of the PBS series, “Ciao Italia.” The kitchen remodeling firm in Bedford plans to hold the series on a quarterly basis. Concord-based CATCH Neighborhood Housing raised over $65,000 at its annual Comedy Night featuring the Capitol Steps. In addition, the organization, which turns 30 this year, recognized several key contributors and advocates. Those recognized were: People’s United Bank, Business of the Year; Cary Gladstone, Volunteer of the Year; Mainstay Technologies, Rising Star Award; New Hampshire Charitable Foundation, Helen M. Greene Visionary Award; and Elissa Margolin of Housing Action NH, Housing Hero Award. The 8,709-square-foot building at 555 Valley St., Manchester has been purchased by Cote Electric LLC for $635,000. Mike Reed of Stebbins Commercial Properties represented the seller, The Packard Building Inc., and assisted the buyer in the transaction. In addition, some 7,372 square feet of space at 522 Donald St., Bedford, has been leased by The Atlantic Way of Bedford. Tom Dickson of Stebbins Commercial Properties represented the owner, 522 Donald Street Assoc. LLC, and The Masiello Group represented The Atlantic Way in the transaction. Granite Commercial Real Estate LLC has relocated from Bedford to new, larger space at 30 Temple St., Suite 300, in Nashua. NHSaves, a residential, commercial, industrial and municipal gas and electric energy savings program, has earned a 2019 Energy Star Partner of the Year Sustained Excellence Award, the highest Energy Star honor given by the U.S. Environmental Protection Agency and the U.S. Department of Energy. NHSaves was selected for its Energy Star Homes New Construction program. Bar Harbor Bank & Trust has named Jaime Frederes senior vice president and director of residential lending. Frederes, who will oversee residential lending throughout the Maine, New Hampshire and Vermont markets, is based at the bank’s Manchester office at 1000 Elm St.
Tinkham Realty Inc. has announced the sale of a 4,850-square foot office condo at Londonderry Square Office Park in Londonderry to LJL Enterprises LLC of Londonderry. Jerry Hersch of Tinkham’s commercial represented the seller, The Savings Bank of Wakefield, Mass. Sales price was $335,000. Hersch also was involved in the lease of 2,500-square-foot warehouse/office at 15 Londonderry Rd. to Bosworth Inc. of Concord. The firm specializes in the repair and restoration of watches and clocks. Tony Drapeau of the Lincoln office of Coldwell Banker LinWood Real Estate has been named to the International Sterling Society, a designation that is awarded to the top 25 percent of sales associates worldwide in the Coldwell Banker system. Paul Busby of Busby Construction Company, Atkinson, has been elected president of the New Hampshire Good Roads Association. Other officers elected at the organization’s April 4 annual meeting at the Grappone Conference Center in Concord were: vice president, Ryan Audley, R. S. Audley, Inc., Bow; secretary/treasurer, Larry Major, Pike Industries, Belmont; past president, Brian Good, Busby Construction Company, Atkinson; directors, Amy Charbonneau, Continental Paving Inc., Londonderry; Ron Ciotti, Hinckley Allen, Manchester; Mick Mounsey, McDevitt Trucks Inc., Manchester; Melissa Neptune, Hews Company, Bow; Sue Merrill, F.L. Merrill Construction Inc., Loudon; Adam Bates, Weaver Brothers Construction Co., Bow; William Hess, Jeremy Hiltz Excavating Inc., Ashland; Jeff Foote, town of Bedford; Chris Mulleavey, Hoyle, Tanner & Associates, Manchester; Jason Riley, Maine Drilling & Blasting, Auburn; Richard Bushnell, Core & Main, Loudon; and Bill Boynton, NH Department of Transportation, Concord. Perma-Liner Industries LLC., manufacturer and supplier of trenchless pipeline rehabilitation equipment and materials, will hold the grand opening April 16-17 of its new distribution warehouse at 7 Tallwood Drive in Bow. The company said the Bow warehouse will support Perma-Liner’s four other distribution warehouses, located in Clearwater, Fla., Anaheim, Calif., New Castle, Del. and Plainfield, Ill.
Metro Walls Inc., Manchester, was production sponsor for the CHaD Battle of the Badges hockey championship, held at SNHU Arena in Manchester March 16. The annual event supports Children’s Hospital of Dartmouth-Hitchcock.